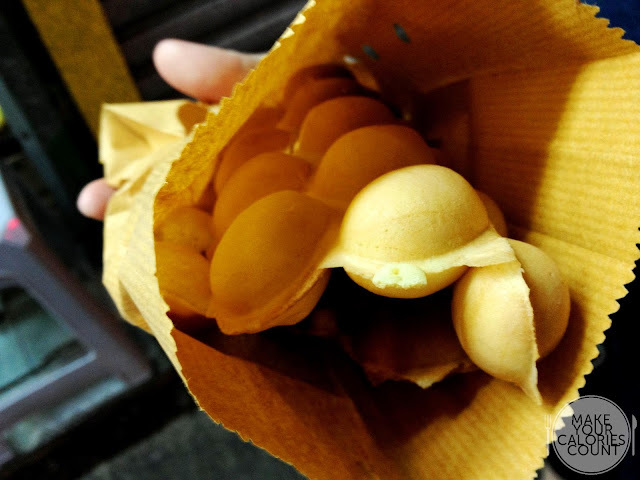 'Gai Daan Jai' which literally translates to 'little eggs' in Cantonese is a common local snack found easily along the streets of Hong Kong. 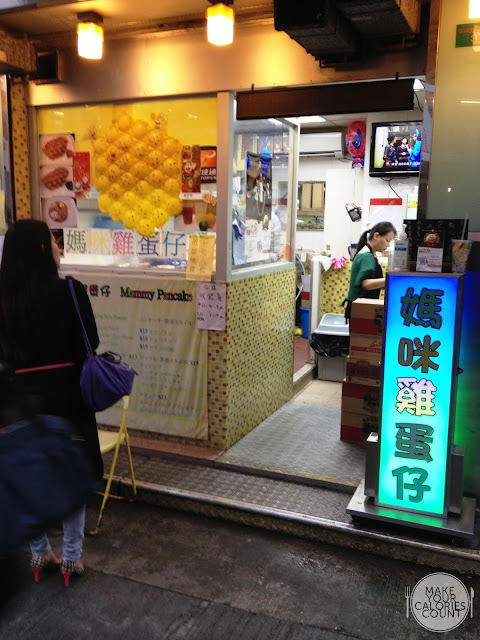 Having read and heard some good reviews about the two 'Gai Daan Jai' stalls in Hung Hom, we made a deliberate trip down to pit them for a showdown! There was a queue forming when we eventually found the place. After some 10 minutes of waiting, we finally had our 'Gai Daan Jai'! With great anticipation (after the religious ceremony of photo-taking was done), we started ripping 'balls' of it out and popping into our mouths. Served piping hot, the surface was extremely crisp and crusty, complemented by a moist, soft and fluffy interior. The balance in textures was enhanced by the noticeable 'egg' smell, which was another tick on our score sheet. The 'ball' had pockets of air within, so it did not taste quite as dense and what I particularly like about it was the slightly 'chewy' texture on the inside that seemed to have some elasticity. 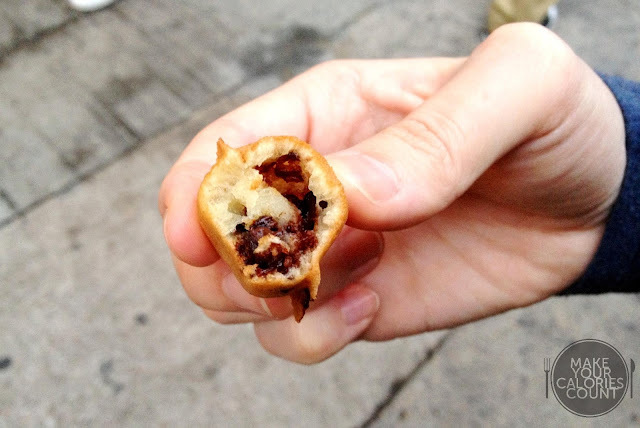 We were only going to settle for the original version of the eggettes until repeated orders for chocolate 'Gai Daan Jai' from seemingly regular customers caught our attention and we decided to order one to try. Batter wise, it tasted as good as the original version with the main difference being the pockets of 'ball' filled with thick chocolate sauce. This was an interesting twist and one which might appeal to children more, considering 'Gai Daan Jai' itself being a childhood snack. Do expect a queue, seemingly at any time of the day. You would be issued a number slip while you wait along the main road outside the stall. The lady packing would then give a shout out as soon as your order is ready. While it was a good rendition of the classic eggettes, we had reservations if it was the best in town. 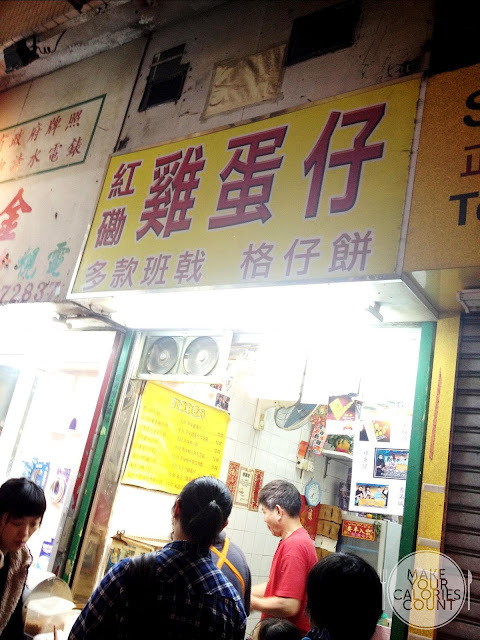 After some walking around and exploration of the area, we figured it was time to go for round 2 at the other shortlisted 'Gai Daan Jai' stall, located few streets away from the one tried above. While the 'Gai Daan Jai' here was equally served fresh, it was slightly lacking in terms of the fragrance of the egg. 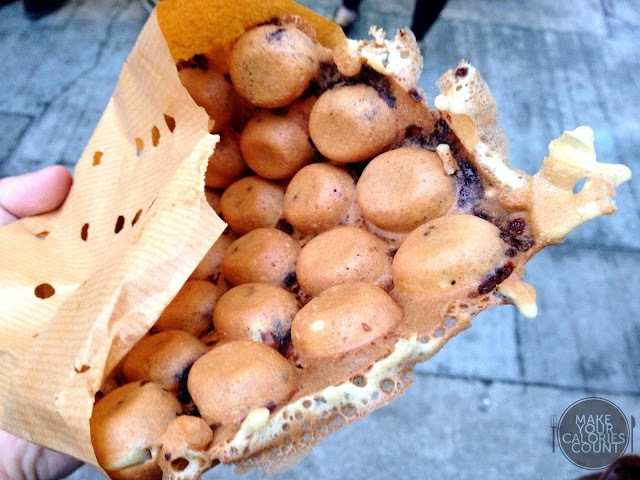 For fans who enjoy eating 'meatier balls', this would definitely appeal more compared to the one at 'Mammy Pancake'. 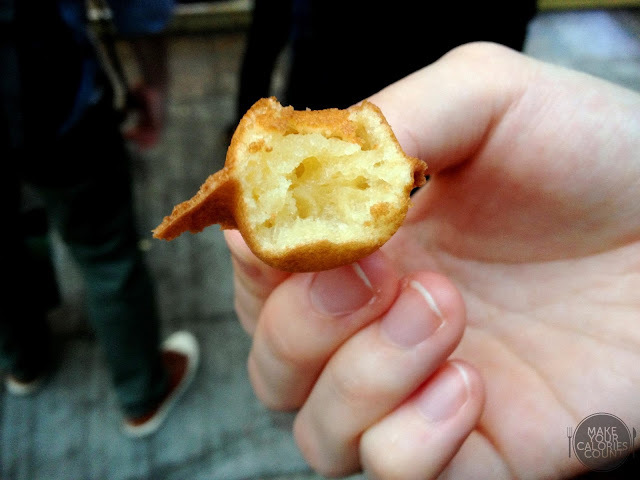 Despite the crisp surface, the batter was denser and it filled us up pretty quick. Looking back at this picture and reminiscing the taste of it all was enough to make me salivate. This was a perfect combination in my humble opinion. 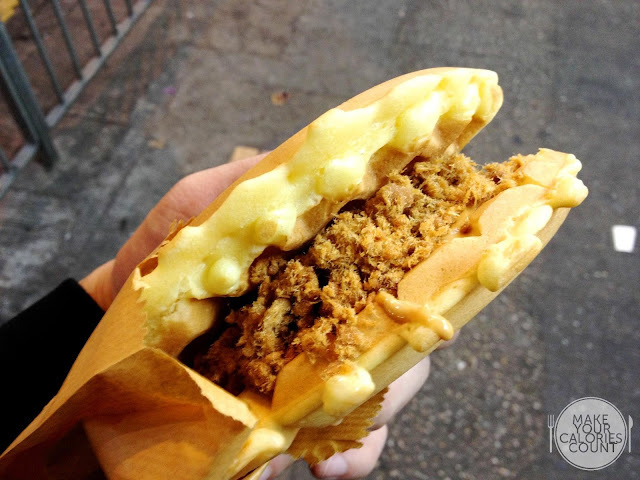 The portion of pork floss was generous and what makes it a must-try is how the saline flavour from the melting peanut butter worked in unison with the saccharine taste of the condensed milk. 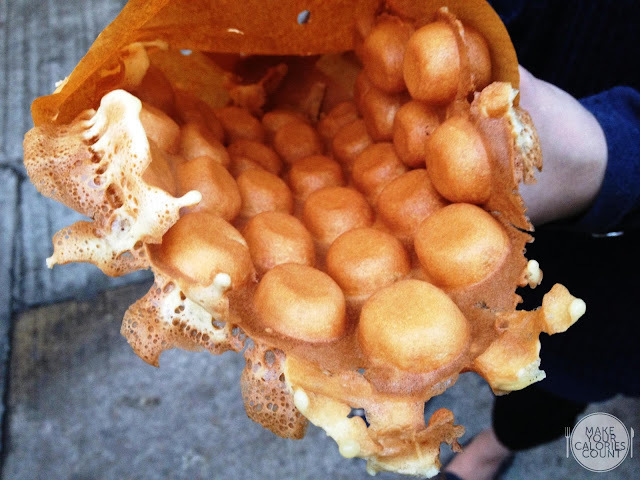 The balance in taste was divine and complete with a crisp waffle and moist soft inside to round up the texture check box. With some persuasion from the uncle who kept emphasizing how good their pancakes were, it would be a shame to walk away not trying it. We ordered their recommended mango pancake and blimey, it was really good! 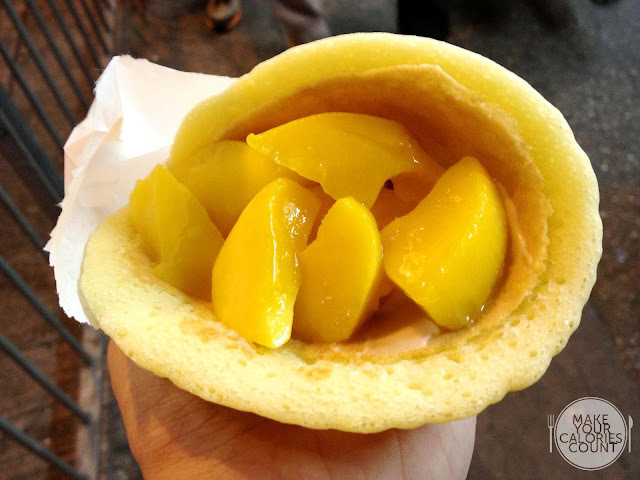 The fresh mango fruit came in thick chunks glazed with sweetened syrup and the pancake was soft, moist and delicate. After the 'Gai Daan Jais' and waffle, we struggled to finish this, but it was so good that it ended up in our stomachs, somehow, someway..
We felt that the service render by the uncle in red in the picture above (owner) was a lot friendlier. When he noticed us snapping pictures, he asked us for feedback on his food, which I felt was a rare gesture. Quite frankly, we found little flaws if any to comment. Will definitely revisit for the waffle and pancakes! We felt that 'Gai Daan Jai' at Mammy Pancake appealed to our palate slightly more but we will return to try their pancakes to pit against the one at the 2nd store. Clear winner, no. But a visit to either stall will certainly not disappoint.